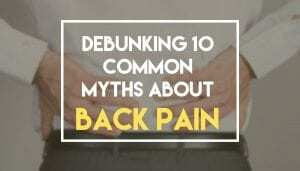 Debunking 10 Common Myths About Back Pain - Piedmont Physical Medicine & Rehabilitation, P.A. It is not uncommon to go to the doctor with a backache only to leave with a diagnosis of lower or upper back pain. We are frequently told it is likely due to strain, sprain or arthritis. The diagnosis may be based upon a physical exam or an x-ray, and it’ll most likely get our minds racing about all sorts of remedies and beliefs about back pain. Rest helps: While it is generally a good idea not to overdo your resting period, there is no evidence that rest helps and there is good evidence that outcomes are better when activity is encouraged. Degenerative disk disease is the problem: While degenerative disk disease does suggest wear and tear, it is present in virtually everyone over 35 years of age. Its mere presence does not simply mean that it is the source of your pain. Strengthening helps: Obtaining or maintaining a strong “core” does help prevent and treat low back pain, but before you strengthen what is weak, you must reeducate what is inhibited and then stretch what is tight. Numbness means I have a pinched nerve: Unless there is a true lack of sensation to pin prick, other structures such as muscle or ligament can make you feel as if you are numb and should not be confused for a pinched nerve. Weather sensitive pain is an old wives’ tale: Weather sensitive pain is actually quite real. Dreary, chilly and cold weather matched with pain suggests that the sympathetic nerve (a special nerve type) is involved. I need surgery since I have a herniated disc: The vast majority of people do not need surgery, even in the presence of a herniated disc. Unless there is loss of bowel or bladder control, or if progressive neurologic deficit is present, predicting outcomes with surgery is controversial. I have an irritated nerve, so there must be something pressing on it: A nerve can be irritated due to inflammation, lack of oxygen, improper stretching or if there are other medical conditions that do not let it heal. There does not have to be anything pressing on it for it to be irritated. Bending is bad for your back: simply bending below the knee level is nowhere as bad for your back as combining bending with twisting. I’m feeling better now so my problem is resolved: It is quite possible to get relief from low back pain and still be an accident waiting to happen. An ounce of prevention is defiantly worth a pound of cure when it comes to low back pain. As long as I take my medicine, I feel fine: Most often medicine can help you feel better, but that does not mean that you are better. You should still go out of your way to improve function and increase strength in order to help prevent reoccurrence. 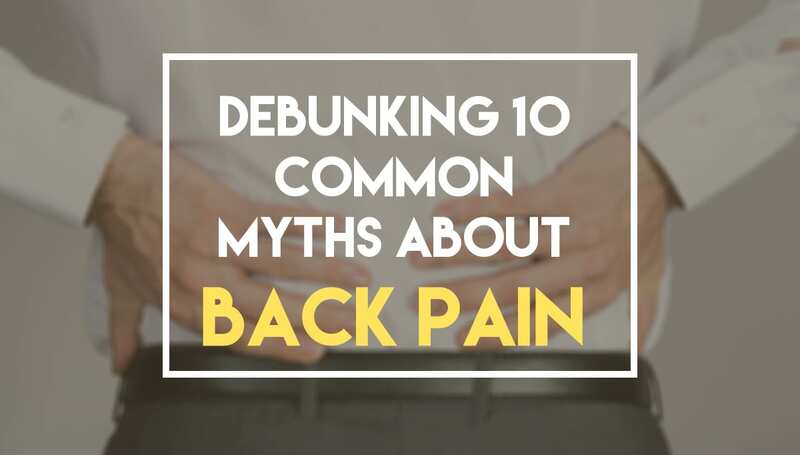 A lot of these myths probably sound familiar – but the takeaway from this list is that you should see a pain management physician for the next suitable step. Don’t jump to conclusions and don’t assume that you’ll be healed a few painkillers. While it can become quite a task to determine which approach to take, or in what order to apply them, with an experienced, skilled physician you’ll know what options are needed for your specific case of back pain. Our clinic services back pain patients in the Greenville, Spartanburg, Anderson and surrounding areas.